Eastern Mediterranean is comprised of lands from Greece in North, down to Anatolia, Lebanon, Syria, Irak, down to Israel, and Egypt in South. These lands were the cradle of Western Civilization, where ancient Greeks, Hittites, Sumerians, Egyptians, any many other ancient cultures flourished. Over thousands of years, these lands have been invaded and influenced by countless forces. They were eventually fragmented into many nations and religions. Instead of enjoying the vast richness of their cultures and variety, they have become intolerant. The Eastern Mediterranean people have been playing an exotic music in these areas over thousands of years. This music was played with instruments and scales existed in ancient Greek, Egyptian, Sumerian and many other ancient cultures. They play the versions of the similar songs each in their own beautiful way. Doğa aims to modernize and sing traditional songs of Eastern Mediterranean nations. We hope that this will help alleviate the hatred and divisions and us/them mentality that exists today. Doğa's message is "At least we play and love the same music". The ney, is a flute mostly made out of bamboo that figures prominently in Middle Eastern music. In some of these musical traditions, it is the only wind instrument used. The ney has been played continuously for 4,500–5,000 years, making it one of the oldest musical instruments still in use. The oud is a pear-shaped stringed instrument commonly used in Eastern Mediterranean and North Africa, Construction of the oud is similar to that of the lute. The modern oud and the European lute both descend from a common ancestor via diverging paths. 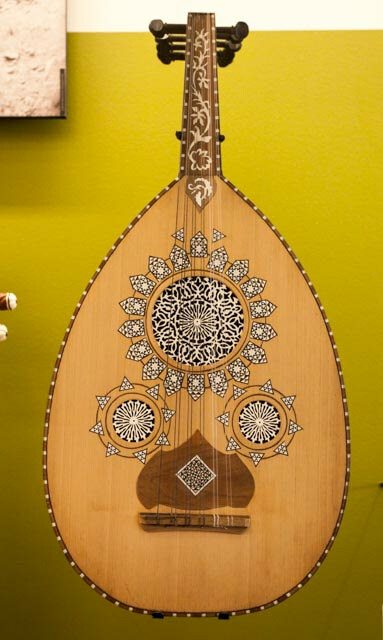 The oud is readily distinguished from the lute by its lack of frets and smaller neck. Alongside the lute, it is considered an ancestor of the guitar. The bağlama is a stringed instrument shared in the Eastern Mediterranean, Near East, and Central Asia regions. It is sometimes referred to as the saz. Instruments resembling today's bağlama have been found in archaeological excavations of Sumerian and Hittite mounds in Anatolia dating before Common Era, and in ancient Greek works.